Facebook announced Friday a new partnership aimed at solving some of Silicon Valley's most difficult issues, including affordable housing. The Menlo Park-based company is contributing an initial $20 million to the partnership, which includes community groups and government agencies in the region. 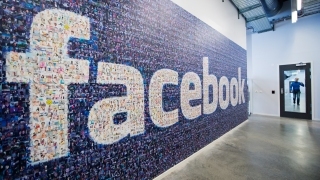 Facebook said it hopes to attract more contributions and partners to the cause. In addition to affordable housing, Facebook is devoting $625,000 to job training in the science, technology, engineering and mathematics fields. Facebook also will dedicate $500,000 to an assistance fund to "provide legal support to tenants threatened with displacement from evictions, unsafe living conditions and other forms of landlord abuse." "Since shortly after Facebook was created, we’ve been part of Silicon Valley and the Bay Area. The region — this community — is our home," the company said in a press release. "We want the region to remain strong and vibrant and continue a long tradition of helping to build technologies that transform the future and improve the lives of people around the world, and also in our extended neighborhood. We all need to work together to create new opportunities for housing, transportation and employment across the region. We’re committed to join with the community to help."